What Good Is A Website No One Can Find? If your business isn't being found on Google, it's not getting the exposure that it deserves. Website success lies in not only the volume of website traffic but that traffic needs to be targeted to what your business is selling. Increased traffic will create more leads, clients & customers which equals more business for you. People visit websites that are at the top of the search results because they feel that those websites are the most relevant for their search. 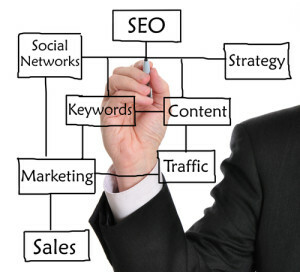 A Westchester SEO specialist can help your business be found at the top of the SERPS instead of your competitor. Your website may be the first impression of your business that a potential customer sees. A professional looking website that is responsive and viewable on mobile phones will project a professional image for your company. Potential customers are checking out your business profile on social media like Facebook, Twitter and LinkedIn. Having an active social media presence gives you more trust and increases visitors to your website. More customers are using the internet to find local businesses than ever before. A local search campaign includes building and optimizing local business directories and citations for your business name, address & phone number; not just your website. Of people searching online never go beyond the 1st page. Searches are made on Google each day. Everyday more and more people are searching the internet for businesses before buying a new product or service. The fact is, people are searching right now for your services and if they are not finding you at the top of search engines like Google, Yahoo or Bing, then they are finding your competitors there. In today’s competitive world, you need to have a solid internet presence so that you can connect with your customers when they need you and are looking for you. Otherwise, you are leaving money on the table each and every month. At Harris Web Marketing, our Westchester NY SEO experts will work with you to achieve a visible online presence for your business. Please fill out our Discovery Form, or pick up the phone and give us a call at (914) 689-3223. SEO or Search Engine Optimization is a marketing technique to help rank your site higher in the search engines than all the other websites out there for a particular term or keyword when someone is searching. People type in specific keywords and the businesses that are deemed the most relevant for those words show up first. SEO has, for quite some time now, become an integral part of an online advertising campaign and the majority of large businesses have been using this strategy effectively. Our Westchester NY SEO consultants make sure that you are using only the best techniques and strategies so that you will stand out from the crowd. Will Westchester NY SEO Help my Site Show up in Google? Small business owners may not totally understand the benefits from online advertising or the significance of search engine optimization services, but it is important for them to explore their SEO options. Otherwise they could end up below their competition in the search engines and not benefit from the increased visitors that those rankings afford. For example, did you know that 90% of clicks occur on the first page of Google? Less than 10% of people even look at page 2! When is the last time you Googled something, scrolled to the bottom of the results and clicked “Next”? We understand that hiring a Westchester NY SEO consultant is a lot like hiring a mechanic to fix your car. There are a lot of things going on behind the scenes that are outside of your expertise. For example, you’ve probably heard a lot about Social Media sites like Facebook, Yelp, Twitter and Pinterest. These Web 2.0 properties are pretty powerful and, as a business owner, I’m sure you want to take advantage of them. But what do you do and how? Plus, who has the time to make it all work out smoothly? And as for staying ranked on top of Google, how does that happen? We are continually testing and keeping up with the latest Google updates so that we can increase your online presence to help your business grow. At Harris Web Marketing we will help you use not only your website, but videos and other online properties, such as Facebook, Twitter, LinkedIn, YouTube, Pinterest and others, to get your message out there. Additionally, we can also provide you with high quality website design along with social media creation and management. To see what other people are saying about us, please check out our reviews page. We want to help you DOMINATE the search engines and get TONS of new customers. We want your phone to ring off the hook with new business! If you want to be on page 1 in the Google search engines, please fill out our Discovery Form or pick up the phone and give us a call at (914) 689-3223.